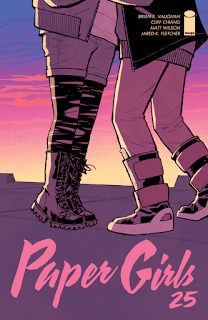 Paper Girls #25 - This was one helluva an issue and one that is going to make it a lot harder to wait until March of 2019 to see what happens to the girls. There is a lot to process as I wrap my head around in my attempts not to spoil anything, but what a cliffhanger and what a poignant final panel. We recently learned that the girls are risking a rare form of cancer associated with time travel, but we now learn that they are also putting the entire year of 1988 into jeopardy due to the rifts they are creating. It appears that a version of Erin from the past has been leaving clues for the girls in order to help guide them home and it all ends on the roof of a skyscraper. I don't think it's fair for Brian K.Vaughan, Cliff Chiang, Matt Wilson and Jared K. Fletcher to drop an issue like this and inform us that the comic is ending next year. Not sure what to think other than the fact that I have plenty of time to give this series a proper re-read before March. Dead Rabbit #1 - Dead Rabbit is a masked vigilante that terrorized the greater Boston area in the 90's, making off with millions of dollars. He hasn't been seen in 10 years and his legend has grown over time. Cut to the present where we learn that the Dead Rabbit is currently taking care of his wife and working as a greeter at the local supermarket since his "retirement" fund have all but vanished. 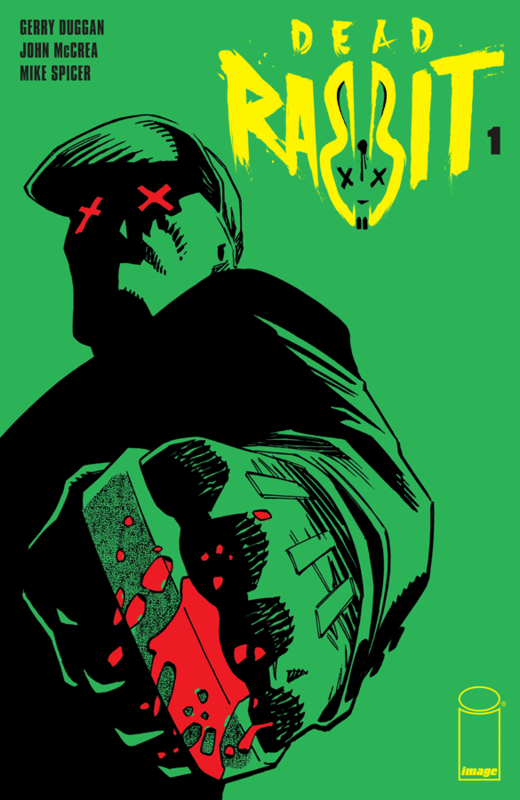 This debut issue from Gerry Guggan, John McCrea and Mike Spicer was extremely entertaining and the design and sheer brutality of the Dead Rabbit is masterful. His mask and demeanor remind me of Rorschach and when you spend a large portion of your past robbing individuals you are bound to make some enemies. After noticing something suspicious at work the Dead Rabbit dawns the mask and there are some powerful beings that are very interested to learn that he has been spotted in the wild after all of this time. Asgardians of the Galaxy #2 - After giving this series penned by Cullen Bunn a whirl I am happy to report that it is a lot of fun, despite this issue taking more of a serious tone. Fortunately we have Throg, the Thor-like frog, to chime in when things get a bit dark. Bunn does a great job bringing the horror element that is in his wheelhouse and sprinkling in some bits of humor that really work well with Asgard and the interesting characters that are affiliated with it. 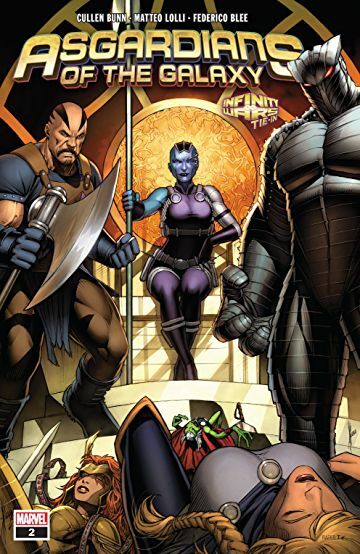 It isn't looking good for the Asgardians of the Galaxy as Nebula is only getting stronger as she commands her army of dead gods in her quest to bring Ragnarok. 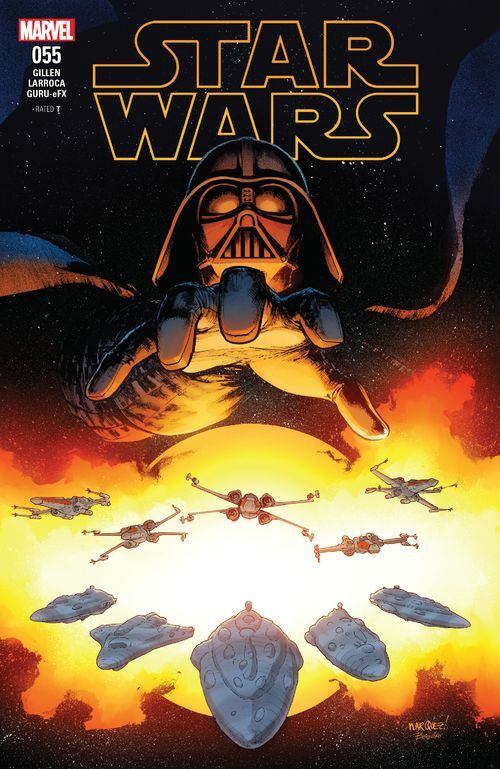 Star Wars #55 - Leia's plan to help the rebel ships escape Vader and his Star Destroyer was able to save the ambassadors, but the fleet sustained major damage and is currently scattered and unable to connect with one another. I have enjoyed the way that Kieron Gillen has taken advantage of this series to provide fans unique moments that are a lot of fun. Han decked out in X-Wing attire leading the Rogue Squadron wasn't something I thought I needed to see, but watching him and R2D2 squabble as they take on Tie Fighters is a lot of fun. Curious to see what members of the rebellion we will follow in the next arc as they are scattered, but also interested in seeing what consequences Vader faces for not delivering the final blow to the rebellion. He chalked this one up as a victory, but the Emperor isn't as confident that it did the trick.